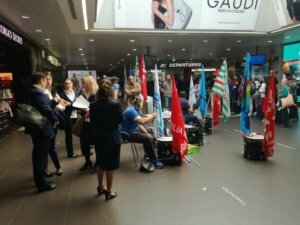 It’s day three of the Fair Transport action week and once again ETF affiliates rose to the challenge! 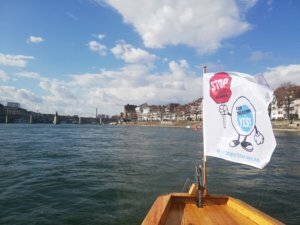 Three more stops for La Staffetta (relay race) promoted by our Italian affiliate unions FILT-CGIL, FIT-CISL and UIL Trasporti! Today’s actions coincide with a national air transport strike to demand stronger rules against social dumping in the aviation sector. Our dockers have been very busy today. 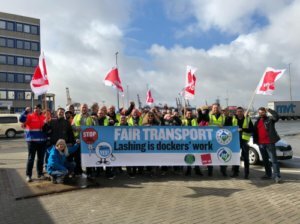 They held actions for fair pensions in Rotterdam, on lashing in Hamburg and Bremerhaven, and in support of drivers’ rights and tighter road inspections in Antwerp. Not only did we see cross-sector collaboration by our friends in Antwerp, the events in Germany also welcomed international colleagues from Norway and Lithuania. 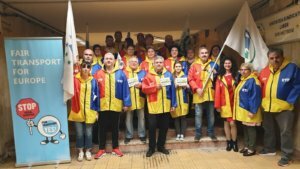 General Workers Union Council in Malta were joined by the president of Malta Marie Louise Coleiro Preca to stand in solidarity with transport workers fighting for dignity at work.